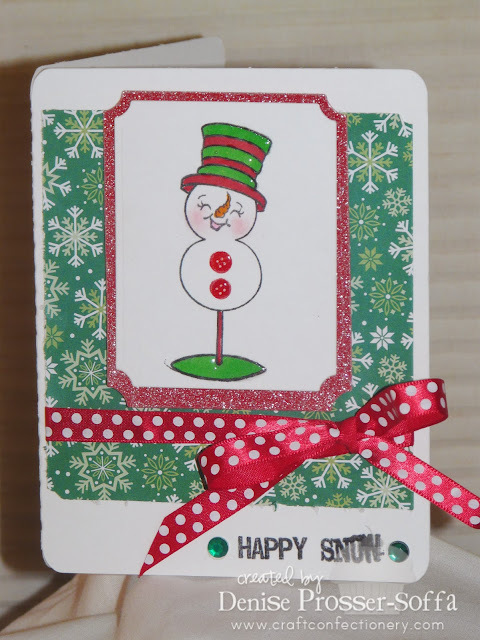 I just love this darling card with that adorable snowman and the polka dot bow! This is adorable - love the sparkly red paper and the red bow and that little snowman is just so cute. I love the snowman on your card, it's so cute!! Thanks so much for sharing. I love your snowman with the red buttons!! Cute card!! Another cute snowman. I like the paper & embellishments you used. I'm already a follower. very cute card! i love the snowman on a stand! Beautiful!! i love the snowflake paper! And that is what I picture happy snow to look like! Very cute!